Anthelios 60 Ultra Light Sunscreen Fluid with Cell-Ox Shield is a synergistic combination of patented high efficacy sun filters and powerful anti-oxidants to further protect your skin. 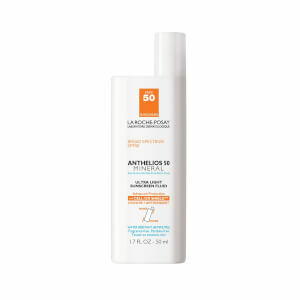 This ultra light, fast absorbing sunscreen fluid provides SPF 60 and broad spectrum UVA/UVB protection with the breakthrough Cell-Ox Shield, to protect your skin, even at the cellular level. It's excellent for use outdoors and at the beach. 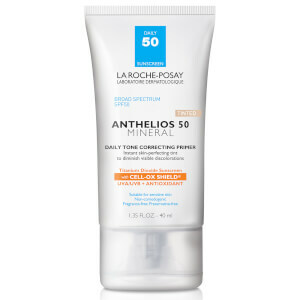 The advanced UV filtering system of Anthelios 60 is a unique association of photostablized sunscreens for broad-spectrum and longer-lasting protection, with advanced efficiency against UVA rays. Anthelios 60 also uses a powerful anti-oxidant complex called Senna Alata, a tropical leaf extract known to defend skin cells. Shake well before use. 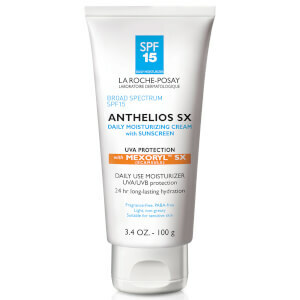 Apply evenly before sun exposure. 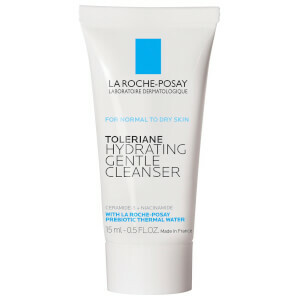 Re-apply as needed or after towel drying, swimming or perspiring. Children under 6 months of age: ask a doctor.